I'm usually a morning shower person. More than the smell of coffee, it's that rush of warm water, the heady scent of my shower soaps and shampoos, and the massage of the showerhead that get me going in the morning. I can't *stand* anemic showers. I just don't feel clean - and if I'm trying to wash my hair, then forget it. I have so much hair that if there's no water pressure, that shampoo is staying put. 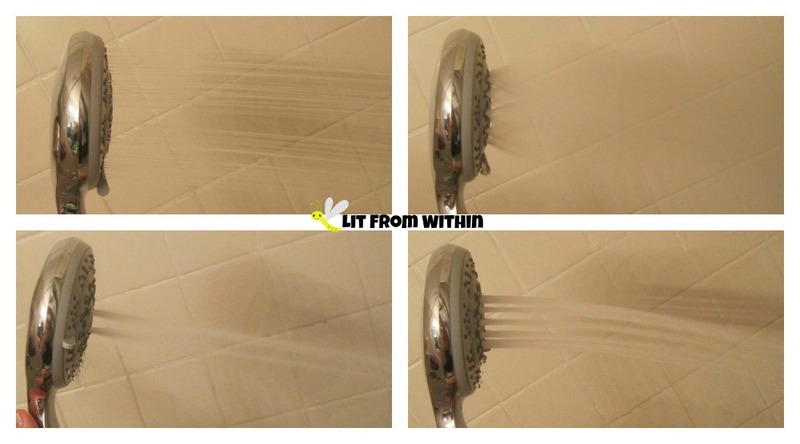 My favorite kind of showerheads are the ones that not only have great water pressure, but some choices as to how that water comes out, and that I can either leave on the wall or hold it in my hand. I feel like I need a lot of control over where that water is going. 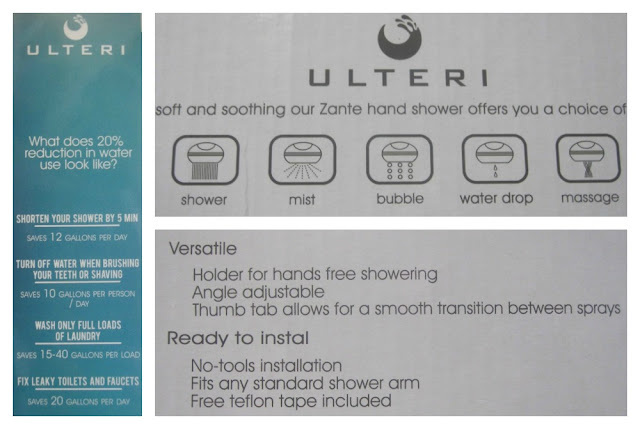 The Ulteri Zante hand shower is probably the biggest I've owned. I could barely fit it in my outstretched hand. It's a nice shiny silver with a plastic grey underside, a metallic hose and connectors, and comes with teflon tape to ensure a smooth connection during installation. I will admit that I asked my husband to install our new showerhead. Mr. Lit From Within never, ever cusses, but when he gets frustrated, he says, "Gosh Darn It!" and it amuses me, so I was waiting to hear him... but it never came. He said the installation was easy. If you like shower options, this showerhead has 5. There's a thumb rest which makes switching between the settings pretty easy - even with wet hands. I didn't take a picture of the water drop setting, apparently. My favorite is the first one - all the outer jets with strong water pressure. The 'rainforest' mist is pretty cool, too. It's very soft, but still has a lot of pressure. Yes, that *is* a froggie shower cap. 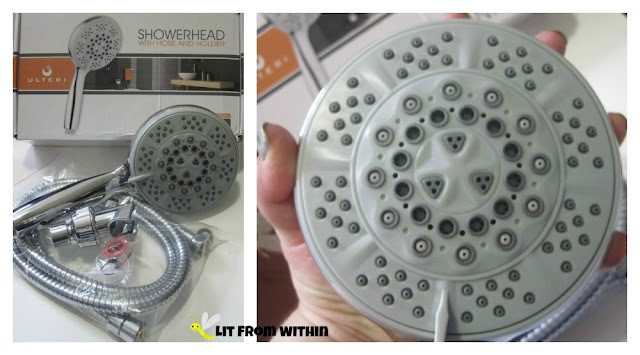 The showerhead comes with an optional water restrictor that you can install if you are concerned about water conservation. I actually turn off the shower when I'm putting conditioner in my hair, or shaving, etc. I feel better about having my full-on water pressure if I conserve that way. Nailart inspired by the Ulteri logo and the jet pattern in the showerhead. 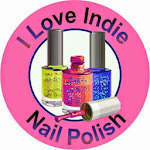 I painted the logo with Sinful Colors Snow Me White over Color Club Off Duty. The jet pattern is Butter London Kip with dots of Glitter Gal Big Smoke, Wet 'n Wild Black Creme, and more Kip. 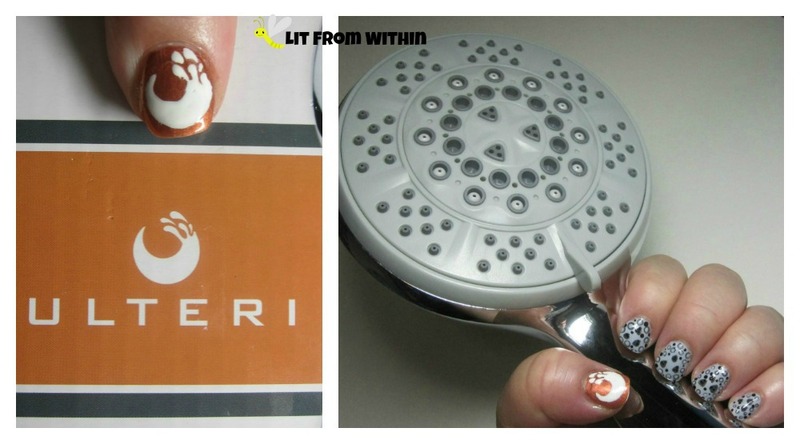 I need my showerhead to be attractive and functional. I love the chrome finish. I really enjoy the long hose and ergonomic handle. I'm ecstatic about the water pressure and the ability to control the water spray. For more information, or to purchase, you can find Ulteri on their website, or on Amazon, where the Zante showerhead is currently on sale for $25.99.